Uh… leaving that #metalmoment aside, what we mean is: we’ve spent loads of time grappling with a bazillion little tweaks to help make your new gear *next-level* awesome. We’re pretty sure we can get you from ‘Put stuff in bag.’ to mastery in a 5-minute read. Seam-sealed? What does that even *mean*? The rain cover’s also fully detachable and packs into itself. You can stuff it into the dedicated pocket at the bottom of your Carry-on 2.0 or detach it and store it wherever you like. Here’s another angle on how to roll the cover from our first Kickstarter video. The Carry-on 2.0 is designed to transition from lightweight hiker to sleek travel backpack to briefcase/duffel to messenger bag with the absolute minimal amount of hassle. 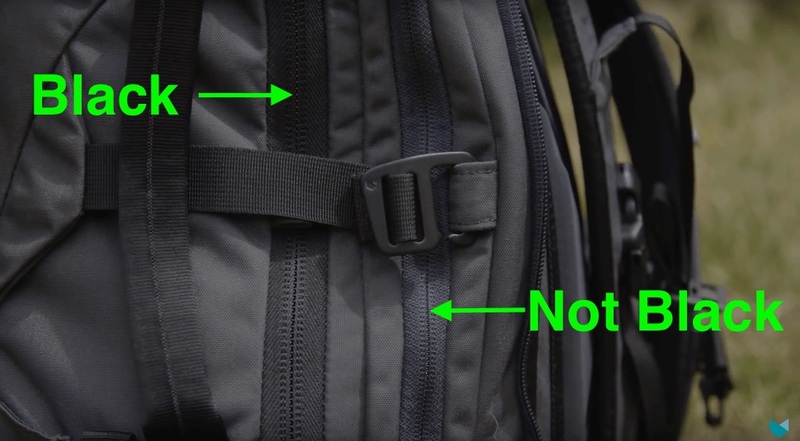 To access the backpack straps, roll the strap cover tightly so the shiny side is hidden. Then tuck it into the cover storage area at the top of the straps so it’s out of sight. It’ll hold itself there until you’re ready to go duffeling, or you can attach the optional Shoulder Sling to *activate* messenger mode. If you’re traveling with a Shoulder Sling or Modular Hip Pads, they fit under the strap cover until you need them. You can also slip them comfortably into the enclosed 3D pocket in the main compartment. There’s a dedicated passport pocket inside the document sleeve in the device compartment of your bag. Your passport fits snugly there, protected by lockable YKK zippers when not in use, but it’s still easy to grab even when holding the bag in one hand. It’s right there next to your devices so you can unpack and repack quickly at security while leaving that (full-to-bursting) main compartment zipped tight. If you’re in Backpack Mode the quick access pockets at the top of the bag are a great alternative. There’s even a hidden internal zip pocket with a clip for your keys too. Sneaky. You might have noticed the subtle difference between the colors of the lockable zipper colors on the device and main compartment of your Carry-on 2.0. The main compartment has a black zipper while the device compartment matches the tone of your bag. Even if your zipper pullers are all hanging together, you can instantly recognize which ones to grab. How many seconds will that save you over a lifetime? *SO* MANY seconds! We designed the neoprene device suspension system to keep your expensive tech safe through all of the bumps and scrapes you’ll face on the road. The internal ladder loops make it adjustable so whether you’re hauling a burly 15-inch work beast or a svelte 11-inch MacBook, either of your laptops will be equally secure. Even with a laptop and tablet inside, your (empty) Minaal Daily still fits in the device compartment. That way you can take a *legit* daypack on longer trips, but still fly with just one bag when you need to. Although we designed the device suspension system to hold a laptop and tablet like an iPad or Kindle, we’ve even seen some bold gear-xperimenters doubling up (in a Daily… Whaaat!?). Well played, Kat. The suspension system is called a suspension system because, get this: it holds your devices away from the sides of your bag, so they’re protected no matter which way you drop it. Thought we were going to say ‘suspends’ again didn’t you? Well, actually, we just did! Well played us. *Quick note: if you’re all about the big screen and have a 17-inch laptop, it’ll still fit in the device compartment but it won’t fit in the device suspension system. BYO sleeve! There’s an easy way to adjust the ladder loops to get a custom fit on any of your devices. Just pinch the velcro end of the elasticated band and thread it under as many webbing ladder loops as needed. If you like, you can leave the side or top open so you can grab your laptop even quicker. Just attach the band to the sneaky velcro hidden inside of the pocket. It’ll stay out of your way there so your devices slide in and out smoothly. For more stability and protection when hiking or moving around a lot, secure both the top and side bands. They’ll keep your devices firmly in place. We designed the device compartment and suspension system so you can slide your laptop out of the top *or* side without setting your bag down. Whether you’re at a security checkpoint, poolside, or a cozy cafe, just hold one of the smooth webbing handles and your other hand is free to unzip the compartment and place your laptop in that designated security tray all by its lonesome. Trust us, it’s easier than we make it look. Inside the main compartment, you’ll find one mesh and one fully enclosed 3D pocket (no glasses required). The 3D pockets work just like built-in packing cubes. They organize your gear and keep everything compact so you can stash more stuff on longer trips. Most backpacks only feel comfortable to carry when they’re fully packed. If they’re mostly empty, your gear sloshes from side-to-side as you walk. 3D pockets hold lots, prevent your clothes from shifting, and keep the load close to your center of gravity at all times. Whether you’re decked out for the long haul, weekending, or just headed to the gym after work, you can use one or both of the 3D pockets to make sure your Carry-on 2.0 always feels well-balanced. And because it’s soft-sided, extra space doesn’t mean extra bulk. Just make sure to use the mesh pocket for those gym clothes. They *need* to breathe! Shoes will fit in the enclosed pocket, along with anything else that you want to keep separate. Most backpacks load from the top (Grr! Don’t get us started…), but the Carry-on 2.0 opens flat like a suitcase. That way you can pack and unpack quickly, stay well-organized and reach in through the zippers to find anything you need at a moment’s notice without dumping the contents of your bag onto the ground. This comes into play when you need to make last-minute packing adjustments and for grabbing just what you need from tight overhead and under-seat spaces. Once your 3D pockets are packed out, you can attach your Shirt Protector the to the internal loops so your shirt won’t slide around and get crushed (thereby unprotecting your shirts… hmm… dis-protecting!?). Then roll, fold or use packing cubes to pack the rest of your gear into the scoop. Packing cubes are awesome because they double as modular ‘drawers’ once you reach your destination. You can leave them behind while you’re out with your bag for the day and get fully packed in seconds when it’s time to move on. The Minaal Packing Cubes are designed to fit as a set inside the Carry-on 2.0, and – with a little smooshing – can also sit inside the Daily! Once you’ve got everything you need, close the 3D pocket/device compartment side over the scoop like a lid. Zip up and you’re good to go. The weight of the device compartment (and sometimes a knee drop!) will help get those zippers to meet when you’re squeezing in a couple extra souvenirs. We’ve designed the built-in compression hooks to compress and stabilize the load as needed. As part of our War on Dangle we’ve added loops on either side of the zippers and kept the strap length modest. Use them to keep the hooks away from the zippers in Access Mode, or pull them across for Secure Mode and extra compression. We’ve seen some serious invention happening around these compression hooks. Apparently, they can be used to secure anything from muddy boots you’d hate to have in your bag, to trekking poles, and tripods that just won’t fit. 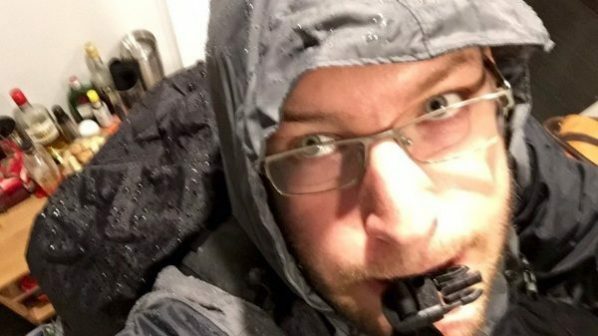 There’ve been swim fins, snorkels and masks, umbrellas, parkas and sleeping bags… the list goes on. But for those who prefer to practice their asanas on an ultra-plush cloud-like mat, the regular compression hooks may not quite reach your level. For the few and the proud who want to stretch things to the limit, we built Extender Straps for your super thick yoga mat(tress), bazooka or waffle iron. Instead of the typical two points of adjustment, one on each shoulder strap, your Carry-on 2.0 comes with a four-point load balancing system to help you dial in the perfect fit. The stabilizer straps at the top of each shoulder shift the weight of the bag over your body so even a full pack doesn’t feel like it’s dragging you backward. That makes a huge difference in reducing shoulder and neck strain, so we wanted them to be dead simple to use, almost automatic. They’re designed to snap together with magnets and disconnect with a simple pinch. Tightening the stabilizer straps draws the load closer to your center of gravity and holds it steady when you’re on the move. Instead of letting it slouch low and flop against your back, pull them until you feel the weight shift forward. This way you’re recruiting your whole frame to support the bag, not just specific muscle groups that tire easily. Then use the the lower shoulder strap adjustments to get the fit just right. The little elasticated loops you’ll find there are another front in the never-ending War On Dangle. Play with the four-point load-balancing system until you feel ‘at one’ with your bag. Ommmmmm! For longer hikes, heavier weights, and higher altitudes, you can use our Modular Hip Pads. They attach to the subtle webbing loops found on the back panel of the Carry-on 2.0 and take even more of the weight off of your shoulders. Fastening the whistle clip across your chest pulls the shoulder straps together and draws the load closer against your back. Total oneness achieved! Now that your whole kit is in place, it’s time for some moving meditation. Previous Post How Many Digital Nomads Are There?